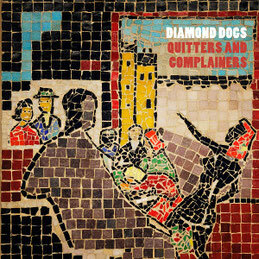 Swedish Rock and Roll band DIAMOND DOGS will release their 10th album "Quitters And Complainers" included a 70 minute long bonus live disc "Let's Have It - Live in Bilbao" on August 14th through Livewire/Cargo Records. Since the forming in 1992, the band has over the years delivered countless hard rockin’ shows worldwide. They have also been on tour sharing stage with: Nazareth, Ian Hunter, The Damned, Hanoi Rocks, The Cult, Sensational Alex Harvey Band, The Quireboys, Dan Baird, among others. This "Quitters And Complainers" was produced by Duke of Honk, recorded at Sound Society Studios in Gävle, Gästrikland by recording engineer Petter Diamant and mastered at Stockholm Mastering by Thomas Eberger. Album design by Duke of Honk and Jon Edergren. Lyrics and Music by Sulo, expect for Silver Star Delight by Duke of Honk. Bonus live disc "Let's Have It - Live in Bilbao" was produced by the great Audience, Christian Barros, Kettil Medelius and Duke of Honk, recorded at Kafe Antzokia in Bilbao, Euskal Herria, and mastered at Stockholm Mastering by Thomas Eberger. 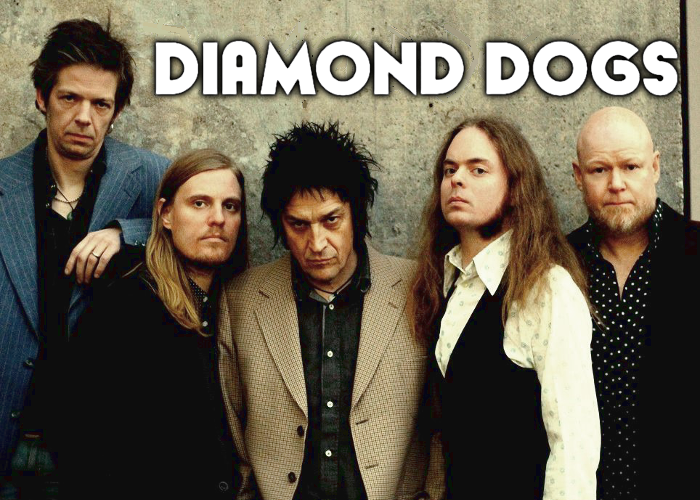 Members of DIAMOND DOGS also has associations with such fine artists as The Hellacopters, Johnny Thunders, The Solution, The Dogs D'amour, The Nomads, Lisa & the Lips, Ian Hunter, and The Crunch. Currently singer Sulo Karlsson is about to complete a vocal duet album collaboration with American singer Maria McKee. "Quitters And Complainers" could definitely be the DIAMOND DOGS' finest release to date. For a fan of Classic good ol' rock n’ roll.